Hang on for the return of Italian giallo! Italian cinema has contributed mightily to the world of film over the decades. From acclaimed auteurs Federico Fellini and Bernardo Bertolucci, to gorgeous, talented actresses like Sophia Loren and Monica Bellucci, from the Spaghetti Westerns of Sergio Leone which helped make Clint Eastwood a star, to the most number of Best Foreign Language Academy Awards of any country, there is no denying the impact of Italian filmmaking. 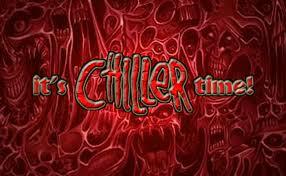 For fans of horror, this is especially true, most notably with the sub-genre known as giallo. Best known from the works of Italian directors Mario Bava and Dario Argento, giallo is noteworthy for its stylish camerawork, creative use of bright colors, pulsating music, non-sensical plotlines and blood-drenched, gory death scenes. 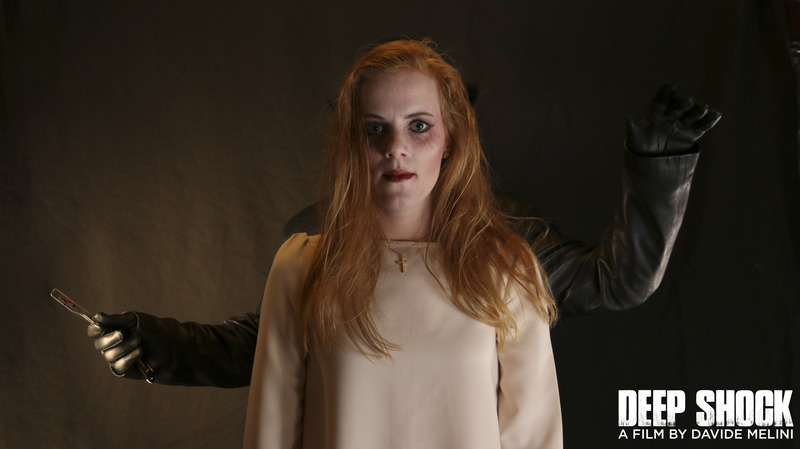 While Italian giallo peaked in the 70s, it appears ready to make an exciting and welcome comeback thanks to the upcoming short film, Deep Shock, by writer and director Davide Melini. First, a little bit of history. The term, giallo,, actually originated with the Italian translation of mystery novels by the likes of Agatha Christie and Raymond Chandler in the late 20s and 30s, with giallo referring to the yellow background of the covers. In film, the accepted origin of giallo began with Mario Bava’s The Girl Who Knew Too Much (1963) and Blood and Black Lace (1964). Often featuring a masked, gloved killer stalking his victims, usually beautiful, young women, and killing them with sharp objects in violent, bloody ways, Bava’s films have influenced countless others over the years, from John Carpenter to Eli Roth. His Bay of Blood, aka, Twitch of the Death Nerve (1971) is the precursor to Halloween (1978), Friday the 13th (1980) and all the other slasher films that came after. Following in Bava’s footsteps was Dario Argento, whose first film, The Bird with the Crystal Plumage (1970), took giallo to new heights. He continued bringing new life to the genre with succeeding films, The Cat o’ Nine Tails (1971), Four Flies on Grey Velvet (1972), his classic Suspiria (1977) and Tenebrae (1982). Another trademark in association with these giallo films is the use of animal names in the title. 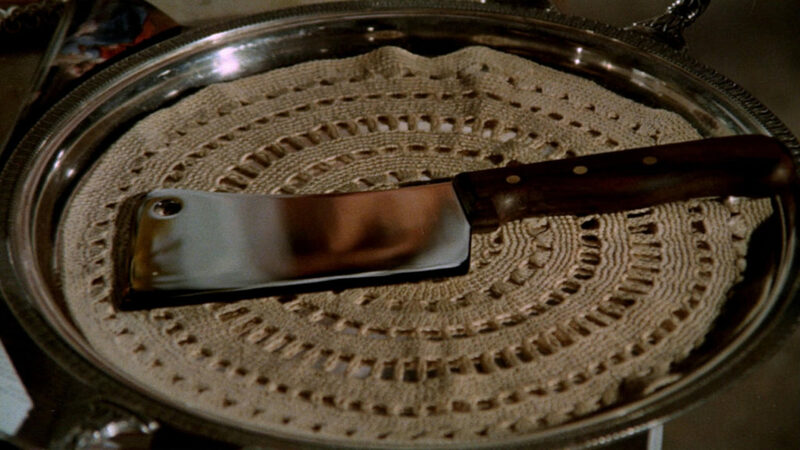 In addition to Argento’s original trilogy, there was Lucio Fulci’s A Lizard in a Woman’s Skin (1971) and Don’t Torture a Duckling (1972), The Case of the Scorpion’s Tail (1972) by Sergio Martino and The Black Belly of the Tarantula (1971) by Paolo Cavara. Now, taking its title by paying homage to two giallo classics, Mario Bava’s last film, Shock (1977) and Dario Argento’s Deep Red (1975), Davide Melini gives us Deep Shock. Deep Shock tells the tale of one Sarah, who is still haunted by the deaths of her grandfather and older sister. Unable to come to terms with her losses, “the trauma and lack of sleep cause her to embark on a strange journey of apparitions and murders…” Are these terrors real or all in her head? 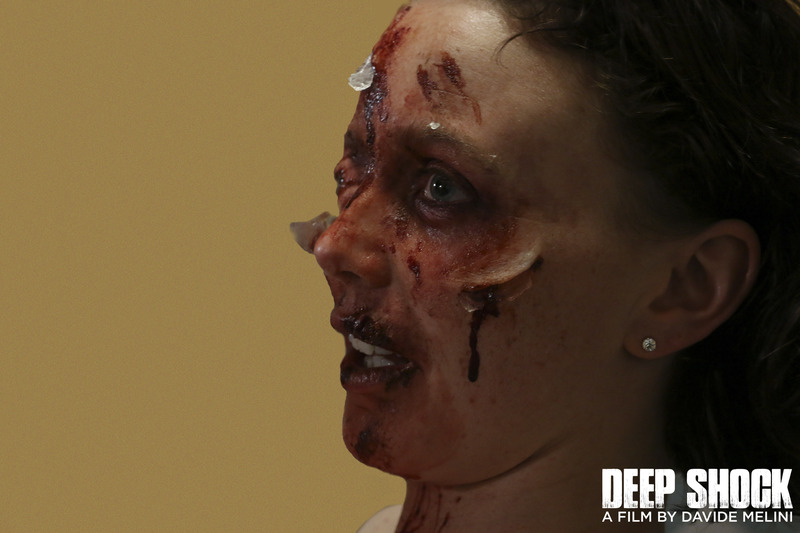 Deep Shock comes from an Italian filmmaker now living in Spain, Davide Melini. Davide has quite an impressive resume, having worked as an assistant director with the maestro himself, Dario Argento, on his Mother of Tears (2007), which marked the concluding chapter of his “Three Mothers” trilogy which began with Suspiria (1977) and continued with Inferno (1980). In addition, Davide has worked as an assistant director on two acclaimed television series, Showtime’s Penny Dreadful, which completed its third and final season, and AMC’s currently running, Into the Badlands. 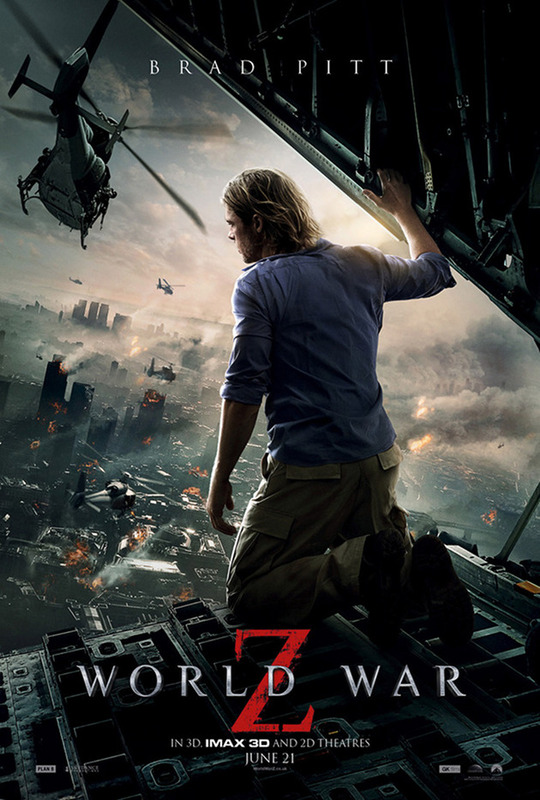 He also wrote and directed the intriguing short, The Puzzle, along with The Sweet Hand of the White Rose. Not content to rest on his own laurels, Melini has rounded up an august list of people behind the camera to bring his short thriller to life. 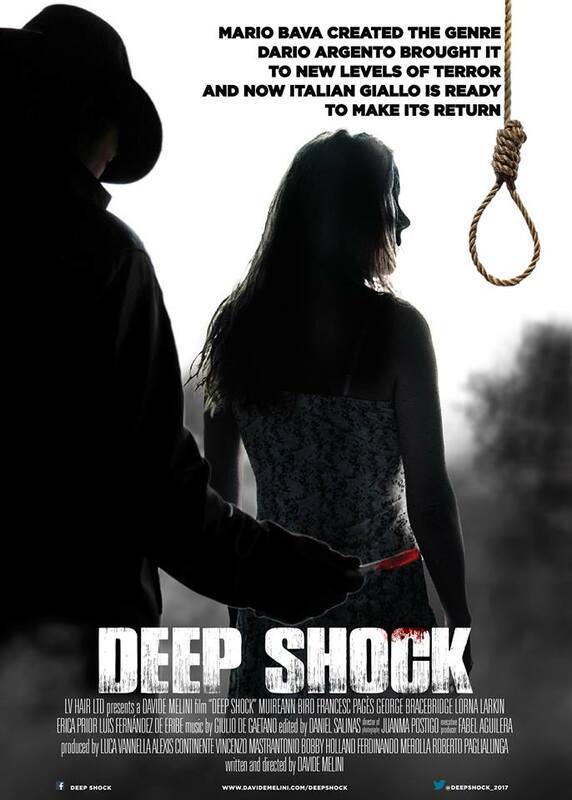 The producers behind Deep Shock include Luca Vannella, who has worked on the Harry Potter and James Bond films, along with Avengers: Age of Ultron, Thor: The Dark World and the upcoming Thor: Ragnarok; Alexis Continente (Rogue One and the soon to be released, The Mummy and Transformers: The Last Knight); Vincenzo Mastrantonio (Titanic, The Passion of the Christ); Bobby Holland (The Dark Knight Rises, Games of Thrones, Wonder Woman); Ferdinando Merolla (Martin Scorsese’s Gang’s of New York, Troy and Ghost Rider) and Roberto Paglialunga. Fabel Aguilera serves as executive producer on the project. Composing the very giallo-ish score (as you will hear in the trailer below) is Giulio De Gaetano. The special makeup effects are headed by Sarah McCarthy, who also worked on the critically-lauded Colin Ferrell starrer, The Lobster. As for the cast, Muireann Bird stars as Sarah, Francesc Pages plays Marius, George Bracebridge is Father Jonathan, Lorna Larkin portrays Caroline, Erica Prior co-stars as Helen, and Luis Fernandez de Eribe is John Taylor.